1. Optimists are realists who have overcome challenges in the past, and believe they’ll overcome them again. 2. Optimists adopt a survivor mentality and believe they’re in control of their lives. They don’t think like victims or look for others to blame. 3. Optimists don’t ask “why me?” They understand that life isn’t fair or unfair; it just is. 5. Optimists put the bad in perspective and even see the good in it. 6. 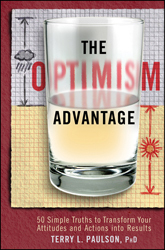 Optimists consume heroic, inspiring stories (like biographies) rather than negative news on TV. 7. Optimists have a purpose that helps them overcome obstacles and stress with a positive attitude. 8. Optimists keep learning new knowledge and skills so they can be confident they’ll be prepared for the future. 9. Optimists take care of their bodies by eating and exercising well. 10. Optimists embrace action and are constantly adapting their strategies and goals (like entrepreneurs). 11. Optimists aren’t afraid to fail, because they know failure is part of the journey to success. 12. Optimists dispute the negative thoughts in their head by looking for conflicting evidence, entertaining alternatives, focusing on the most likely rather than the worst consequences, and recognizing that worry is useless. 13. Instead of calling themselves names, optimists focus on constructive criticism of their own actions. They ask: what did I do wrong? How can I fix it? How will I act differently next time? 14. 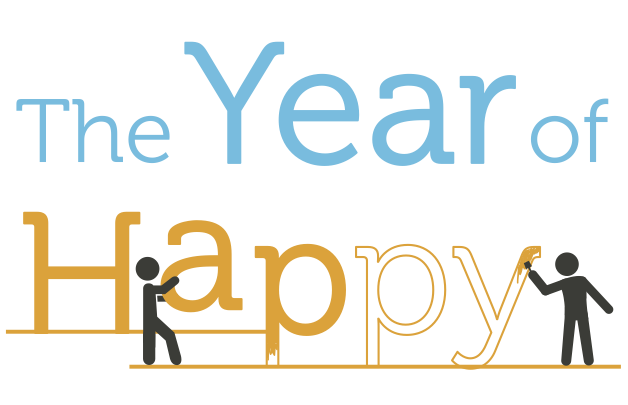 Optimists focus on what they’re doing right and recognize their accomplishments. 15. Optimists take advantage of simple pleasures and humor. 16. Optimists surround themselves with optimistic people and make time for them. 17. Optimists understand that it takes hard work to stay optimistic. Don’t have time to read? 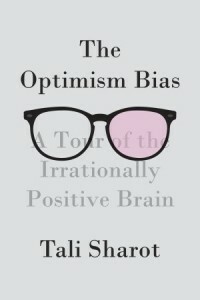 Here’s a quick but comprehensive summary of Tali Sharot’s The Optimism Bias, released in 2011.
Who should read this: Optimists interested in justifying their positive outlook, or pessimists who want a reason to change. Elevator pitch: Though we don’t realize it, most of us are optimists. And the optimism bias has its benefits: we perceive the world in positive ways and are more likely to take actions toward our rosy future. But we need to be wary of extreme optimism and the network effects of group optimism. Author: Tali Sharot is a research fellow at the University College London’s Wellcome Trust Centre for Neuroimaging. 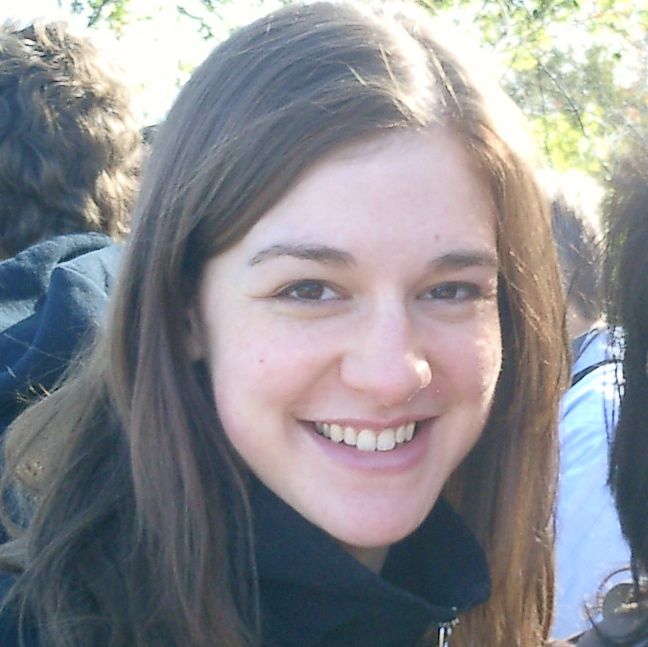 She has a PhD in psychology and neuroscience from New York University. The optimism bias makes us overestimate the likelihood of positive events and underestimate the likelihood of negative ones. Tali Sharot stumbled upon it while researching the way we imagine the future: she noticed that people’s imaginings were very rosy. The optimism bias is one of the illusions of the human brain, just like spatial disorientation, the bias blind spot, and the introspection illusion. But learning about the optimism bias won’t make it go away. We likely developed optimism at the same time we developed the ability to imagine the future (prospection); otherwise, we wouldn’t have been able to deal with the thought of death. Optimism translates into better outcomes because when we expect something great and don’t achieve it, our brain’s frontal lobe goes to work figuring out why and learning for the future. If we don’t expect greatness, this doesn’t happen. And studies have shown that optimists live longer and are less likely to die from accidental or violent events because they take active steps to protect themselves. “Hope . . . enables people to embrace their goals and stay committed to moving toward them,” writes Sharot. We tend to be optimistic about our personal future but pessimistic about the public future. When times are so bad that our personal optimism is shaken, we look to figures like Shirley Temple and Barack Obama to restore hope. We’re notoriously bad about knowing what will make us happy: in fact, having kids and spending more time with them is correlated with unhappiness, while wealth and marriage aren’t as straightforwardly enjoyable as we think. The factors consistently associated with happiness are gardening, going to church, playing sports, and having a higher educational degree. Part of the reason for this is that our memory is faulty: we remember the emotional highlights of experiences (like vacation), when in fact that experience was predominantly mundane. We also tend to focus on the thing that’s changing (e.g., getting richer) while ignoring all the things that don’t change (e.g., having to do laundry). The real thing that makes us happy is our optimism – the way we overestimate our future happiness. Surprisingly, the most accurate predictions of the future come from mildly depressed people. According to psychologist Martin Seligman, depression is often accompanied by a “pessimistic explanatory style”: we tend to blame ourselves for misfortune, believe it’s permanent, and believe it affects all areas of life. Depressed people also exhibit “learned helplessness,” the feeling that they’re not in control of their lives (which leads to passivity). Some antidepressants actually work by giving us a bias for the positive: thanks to serotonin, we’re more likely to see and remember positive stimuli, and interpret ambiguous situations as positive (like someone teasing you). In addition to overestimating the probability of positive events, optimistic people are happier because they imagine positive events more vividly and expect them to occur sooner. This all boosts the luscious feeling of anticipation, which is greater the more pleasurable the anticipated event, the more vividly we can imagine it, the more probable we think it is to happen, and the sooner it will be happening. That would seem to suggest that we should always delay gratification, prolonging the period of anticipation. But choosing when to enjoy ourselves is a balance between anticipation and temporal discounting, our tendency to value the future less. Another way our brain increases positive emotions is to value things more after we’ve chosen them. After you decide between two pairs of shoes you like equally, you’ll say you like your choice better. This can be explained by cognitive dissonance theory: our brain works to reduce psychological discomfort so we can move on with our lives instead of constantly questioning our choices. This effect even holds true when we think we made a choice but we actually didn’t. To retain our optimism, we store vivid memories of negative events (so we can avoid them in the future). We end up believing our memories are incredibly accurate, when in fact we’re remembering the core emotion well but not the secondary details. 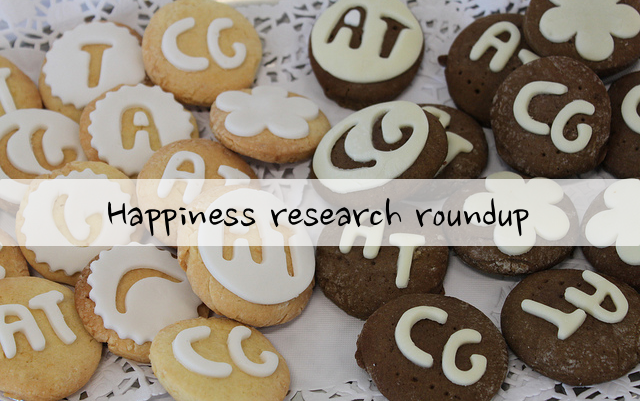 We also protect our happiness by adapting to negative circumstances: after major events like divorce, winning the lottery, or becoming paraplegic, our happiness levels eventually return to normal. This is because of the “impact bias”: we overrate the effects of negative situations. We don’t imagine all the positive things that will stay the same when disaster strikes (like friends and family), or the new skills and opportunities that it affords. Optimism only has a downside when it becomes extreme: studies show that extreme optimism is correlated with poor decisions. Extreme optimism makes us reckless, whereas moderate optimism allows us to keep our chins up and dive in. In summary, most people exhibit an optimism bias. Optimism influences our perception, so we tend to see more good in the world. It also influences our actions, so we tend to take steps to achieve our goals. The Optimism Bias isn’t a self-help book: it provides us mainly with facts about the optimism bias, not ways to cultivate or maintain it. A few chapters wander off a little bit into Sharot’s expertise of memory and imagination, but the diversions are interesting nonetheless. The good news is that there isn’t much self-help work to be done, except avoiding extreme optimism. If you aren’t depressed, your brain is already envisioning a rosy future – whether you realize it or not. 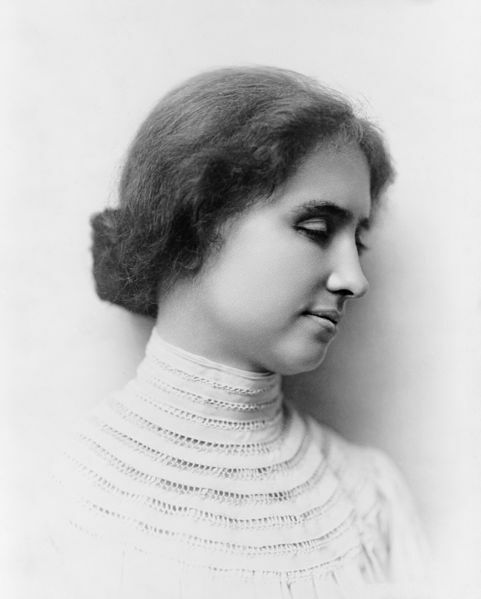 Helen Keller was born with sight and hearing just like many of us. But at the age of 19 months, an illness robbed her of them. For the next five and a half years, she lived in a darkness only pierced by a few gestures she used to communicate with her family. 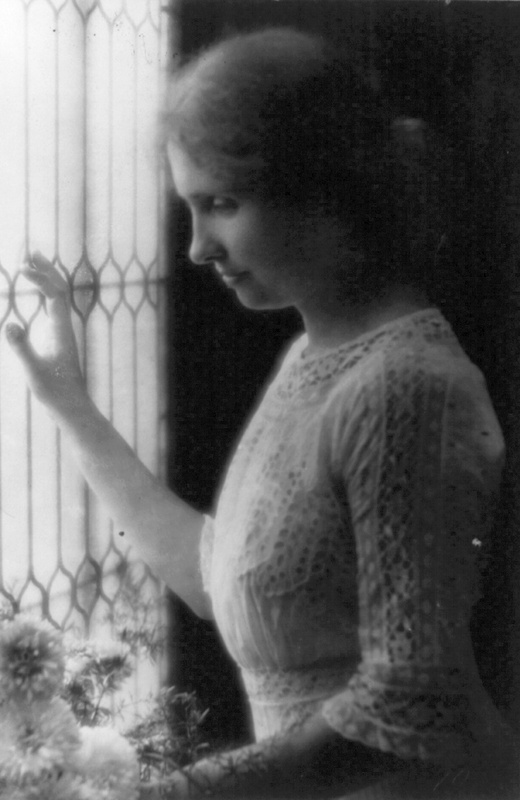 When she was 7, Keller was visited by Anne Sullivan, who became her governess and brought light and understanding into her world through words spelled into her palms. We witness this phenomenon so often in our daily lives: after being deprived of something, we appreciate it more. Sickness makes us treasure health; fearing for the life of a loved one makes us treasure them. After my father’s brush with cancer, he told me that the little things didn’t matter anymore. So, too, does Keller urge blind people to focus on the fundamentals: love, goodness, hope, and truth, which are no less accessible to the blind. But this doesn’t explain the fullness of Keller’s optimism; after all, she didn’t regain her sight and hearing, she simply learned the ability to communicate. She still lived a life in blackness, without hearing the voices around her or seeing the bloom of spring. And her optimism is this: a philosophy of happiness. She sees goodness in herself and in the world, and she believes that we can use our minds to overcome the suffering and hardship. We even have a duty to be optimists, she says, because this is the creed that will propel us to get things done and inspire those around us. “If I regarded my life from the point of view of the pessimist, I should be undone. I should seek in vain for the light that does not visit my eyes and the music that does not ring in my ears. I should beg night and day and never be satisfied. I should sit apart in awful solitude, a prey to fear and despair,” she writes. Optimism is a choice. Our alternative may not be quite so dark as Keller’s, but it’s similar: we sometimes seek in vain for the success that eludes us, or the perfect health that fails us, or the love that evades us. But being satisfied with what we have is the road to all we want – success, health, and love. “Woe, indeed, is the heritage of those who walk sad-thoughted and downcast through this radiant, soul-delighting earth, blind to its beauty and deaf to its music,” writes Keller. Though she is blind and deaf, she isn’t blind to the world’s figurative beauty nor deaf to its figurative music. And if she can overcome her adversity, so can we. In our world where the gray, 9-5 cubicle represents the antithesis of hope – the promise of dreary, monotonous, dull days to come – we seem to have lost the connection between optimism and work that Keller speaks of. So what was she talking about? The desire and motivation to work, she says, are fueled by the fundamental belief that you can have an impact; that your efforts mean something and can change the world for the better. You can take fragments of ideas or materials and turn them into something orderly, meaningful. Keller says that the doers of the world are all optimists. An example close to her heart: those brave teachers who first taught the deaf and blind proved to a doubtful public that it could be done. She herself would go on to become the first deaf-blind person to receive a Bachelor of Arts degree, something previously unimaginable. “No pessimist ever discovered the secrets of the stars, or sailed to an uncharted land, or opened a new heaven to the human spirit,” she writes. And not only is a dedication to work optimistic, but it inspires optimism in those around us. Seeing others do good work reassures us that “the true and the good will stand sure.” Keller observes civilization moving forward thanks to the efforts of such heroic workers, but also the efforts of little guys like herself.